The owner of the Costa del Sol restaurant in Ghadira Beach is proposing to build a brand new 6-storey five-star hotel on the site of the current restaurant and a government owned car park. 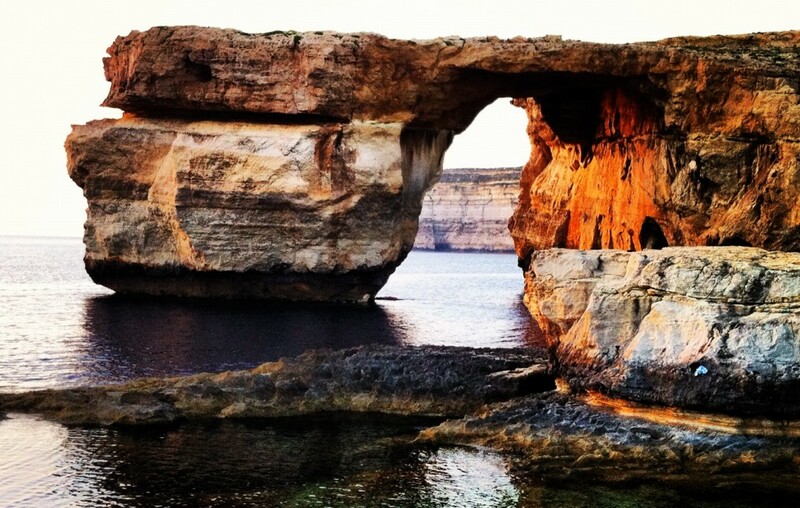 The application in an advanced stage, which in Maltese translates to ‘already accepted’, but at least Ghadira Bay has managed to retain its Blue Flag status. The area circled in red is the one being earmarked for development by Mr Curmi. 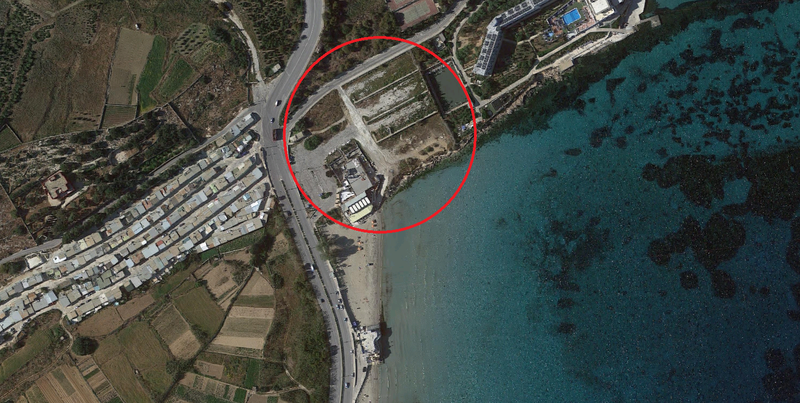 Costa del Sol is shown within the circle, while the rest is public land which the government has no problem selling off to this restaurant owner. All the construction to the left of this proposed site consists of the illegally constructed shanty town that stupid people in Malta refer to as a summer room. I always look for these comments when I read an article relating to a new development. It takes me back to those biology essays they used to make us write during my university exams – beat about the bush and pretend to know what you’re talking about when you clearly have no clue what is going on. Correct me if I’m wrong, but there is already hotel next to this site, a four-star hotel in that same street, a holiday complex down the road, two hotels further up in close to Cirkewwa and other smaller accommodation facilities in the village of Mellieha. I’m pretty sure that the area is not as desperate for a new luxury hotel as Anthony Curmi is to make a couple of millions off public land. Additionally, one needs to mention that the area surrounding Ghadira Bay has been the target for illegal and contentious development for years. The Seabank hotel had an extension approved in 2010, leading to removal of what the government at the time called unsuitable agricultural land, Mellieha Holiday Complex (Danish Village) applied for an extension of 30 new units, and Mellieha Bay Hotel applied for further extensions in 2007. One should also keep in mind the shanty town next to the site is all illegally occupied by squatters, and that Maltese governments refuse to kick them off public land. Furthermore (there is just no end to this), we should also remember how MEPA allowed concrete to be laid onto the beach to accommodate for those traditional Maltese kiosks on the beach itself, which is a Natura2000 site. The situation is becoming utterly insufferable. While we’re at it, how about the government just sells off half the beach to the private sector so that it can boost the local economy? I guess that the rest of the Maltese people will just have to wing it from now on. If the Radisson Golden Sands Hotel in Golden Bay can serve as an indicator, it is very likely that this hotel would appropriate a part of the beach for ‘private use by guests’. But at least, Ghadira Bay gets a Blue Flag. Jolly good then, all is right with the world.